FORT FAIRFIELD, Maine — Students at Fort Fairfield Elementary School recently kicked off four fun-filled weeks of winter health-based activities as part of a statewide effort to get youngsters out and about during the cold Maine winters. The WinterKids Winter Games is an annual initiative put forth by the Westbrook-based nonprofit WinterKids that helps children develop lifelong healthy habits through education and physical activities. This year, two schools in Aroostook County — Fort Fairfield Elementary School and Dr. Levesque Elementary School in Frenchville — are participating, with 31 schools across Maine taking part. 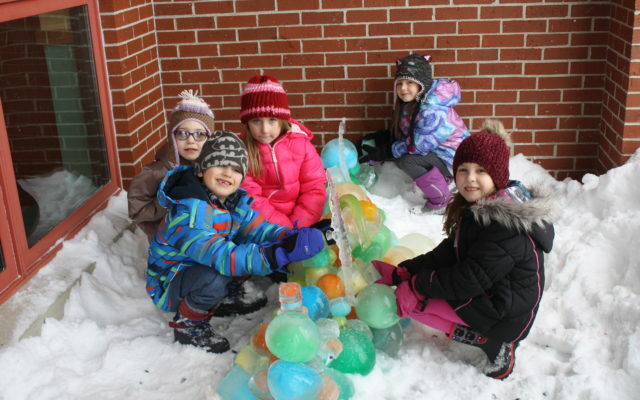 Although the bitterly cold, sub-zero weather caused Fort Fairfield staff to cancel planned outdoor kickoff activities in early January, that did not stop them from giving students an extra recess and warm cups of hot cocoa on the afternoon of Friday, Jan. 18 as a replacement. That same week students also spent part of class time learning about how to maintain healthy eating habits during the winter months. This week the students will begin the home activities portion of Winter Games, in which they will record every physical activity that they take part in — from helping their parents shovel snow to building a snowman or sledding — as well as documenting the healthy meals and snacks they eat. 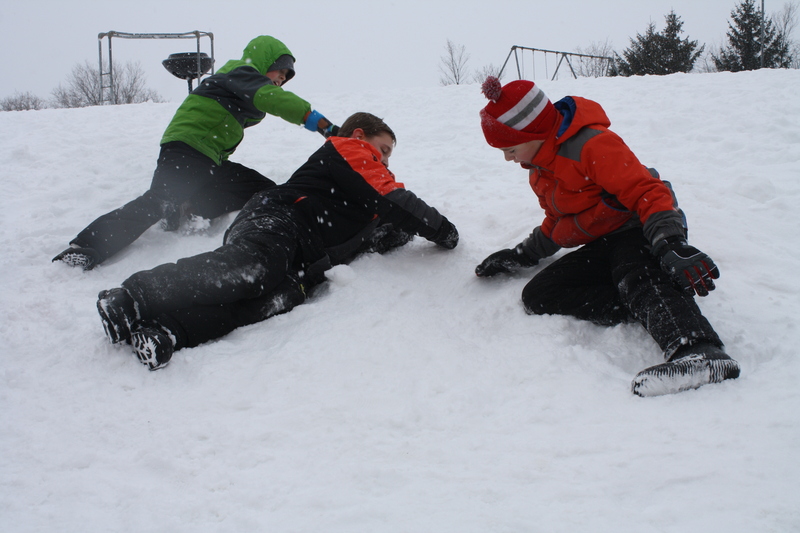 During week four the school will hold special winter carnival activities, which will include a special trip to Bigrock Ski Area in Mars Hill for the 5th grade class. Students who record and photograph their healthy habits will be eligible for prizes and help their school possibly win a cash prize from WinterKids. Last year, the school won $250. This year’s grand prizes include $5,000 for first place, $3,000 for second place and $1,500 for third place. Staff at Fort Fairfield Elementary also have been providing healthy lunch and snack options for the students such as yogurt parfaits and vegetables. Fifth-grade teacher and Winter Games organizer Jay McKenney credits the WinterKids program for helping to show young students what fun activities the winter season has to offer. Throughout the Winter Games some staff members have worked to make some activities educational as well. Ed Tech Chris Lundquist had many kindergarten students create a unique ice sculpture using water balloons, food coloring and sand grains. Fifth graders Bella Winters, 11, and Aubrey Ainsworth, 10, both enjoyed the Winter Games activities on Jan. 18 and the lessons they’ve learned so far about staying healthy and active during winter. Winters said that some of her favorite winter activities include skiing and playing outside at home with her siblings. “I like being outside. 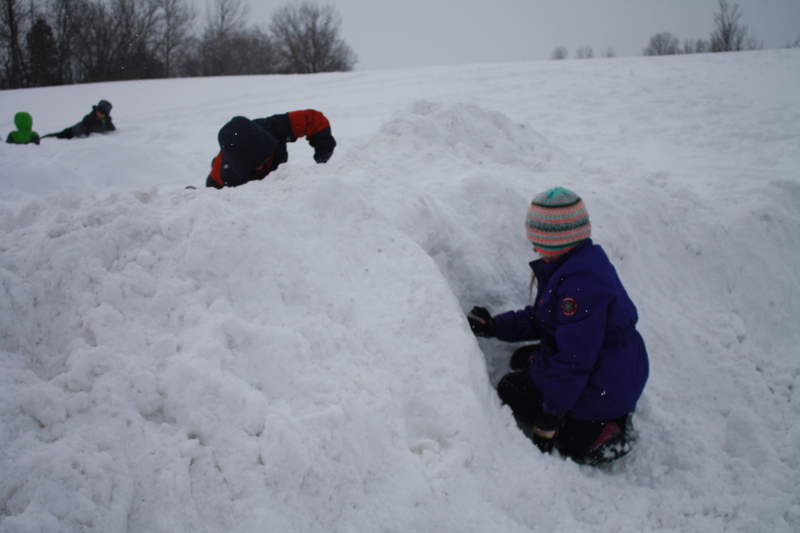 It’s important to go outside in the winter so that you can stay healthy,” she said. The final day of the Winter Games will be on Friday, Feb. 8, with WinterKids announcing the competition winners on Friday, Feb. 15.